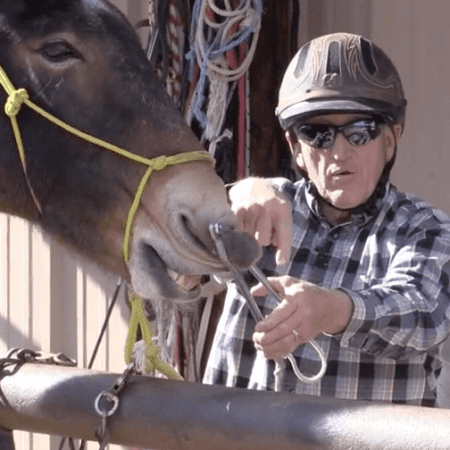 What do you do when the closest vet is 2 hours away and you need to doctor up on your mule? 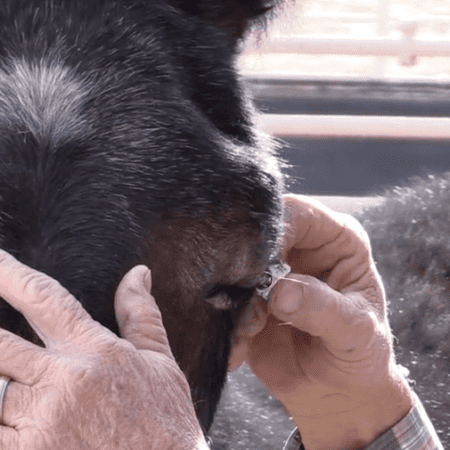 You must become the vet. 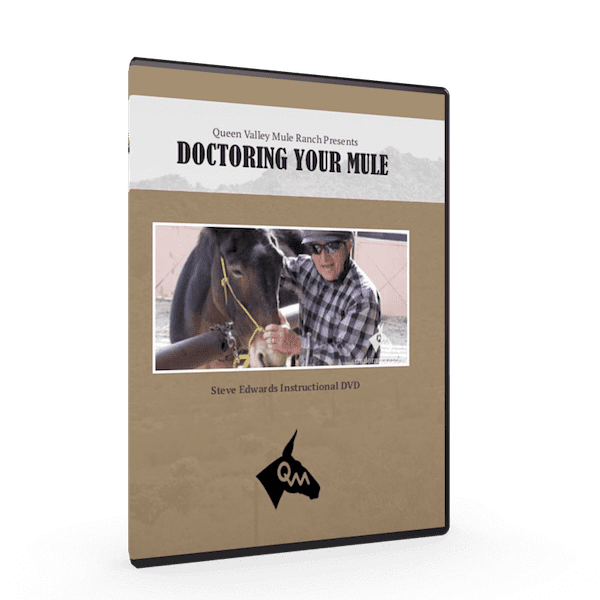 In this video, “Doctoring Your Mule,” Steve Edwards shows you how to relax your mule and get his mind off of the doctoring you’re about to perform. 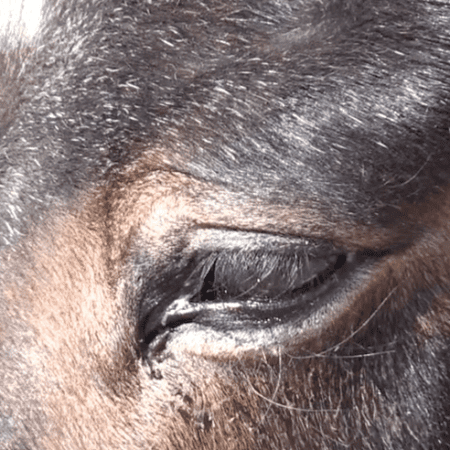 You don’t need to fight with your mule every time you need to give him some medicine – that’s dangerous and counter productive. 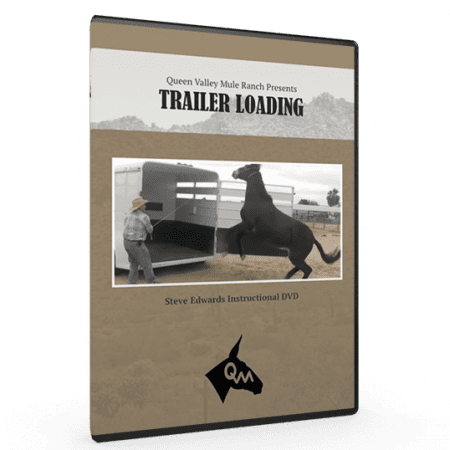 All you need is someone to show you how to get him to put his guard down and allow you to do the work that’s in his best interest – that man is Steve Edwards. Steve Edwards is 40 minutes away from a veterinarian. 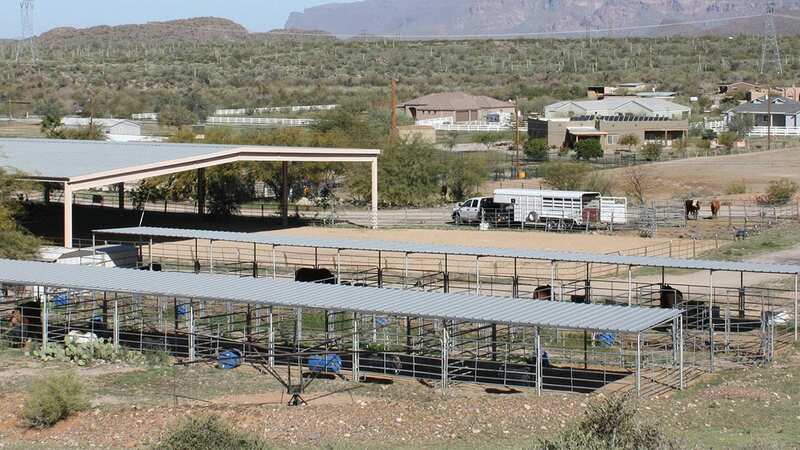 Many ranchers are at least a day away from any vet being able to reach them. Steve has had to learn how to vet his animals and now he shows you how to do the same thing. 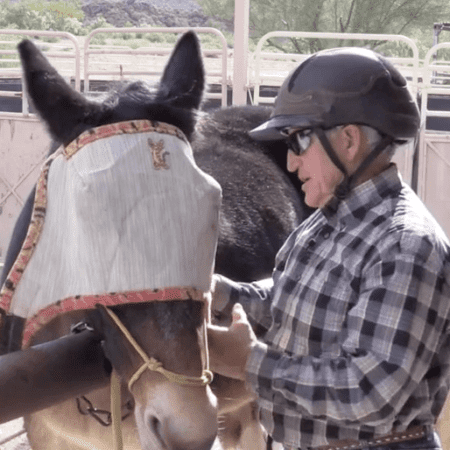 In this video, Steve shows you how to apply eye ointment to a mule that has moon blindness in the left eye. You can see the mule is in pain and the stress his eye is under because of the ulcer. 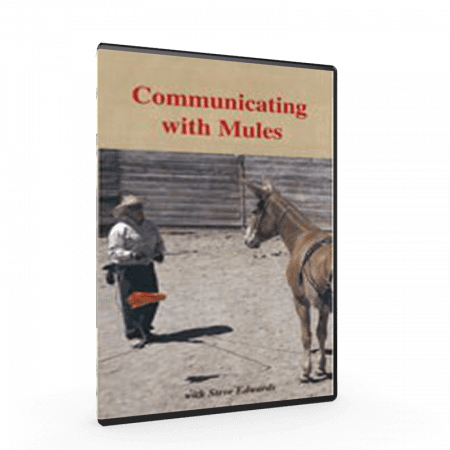 Watch Steve approach the mule, deal with him throwing his head trying to keep Steve away from his eye. He doesn’t want Steve to touch him. 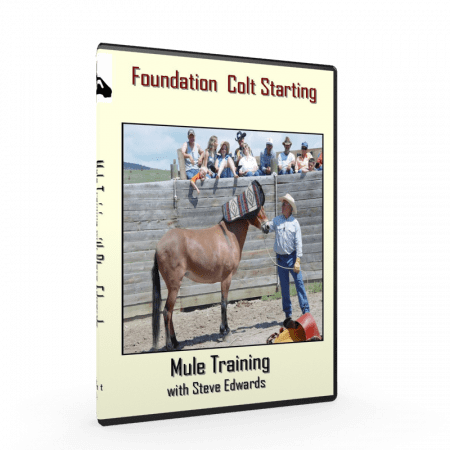 You’ll see how Steve uses a humane twitch on the mule and utilizes an open and close motion to get the mule to relax.